The funny thing about time is that it keeps moving whether you're busy or bored, happy or sad, at peace or in a crisis. I've written before about time with a humorous spin on its passage and our perception of it and I mention it here in my fist post in over three months because I have been lost in the phenomenon and have neglected those of you who might enjoy reading new posts. A lot has happen in three months: some good, some life changing, and certainly one event which comes sadly with getting older. 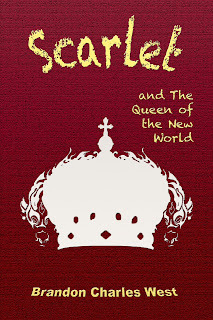 So, I'm going to catch you up, apologize for missing many a deadline and then tell the Scarlet fans out there when they can expect Scarlet and the Queen of the New World, sorta. My Nana, the most beautiful person I've ever known. My grandmother, my Nana, died a little bit before Christmas. Alzheimer's Disease had taken her mind and eventually her body, leaving only her beautiful soul as a presence in our lives. My mother and aunt had worked tirelessly to take care of her and until the very moment she passed, they both gave their mother a peaceful and graceful end with more courage than I could ever imagine. Courage, it seems, comes in many forms, and in my mother and aunt I saw courage of will, strength, and heart. I don't know when I will ever see such a selfless display of love and devotion again in my lifetime or something so heart-wrenching and beautiful. Many people have shaped who I have become as a man, father and husband. I am far from perfect and sometimes cruel. Sometimes I'm neglectful. I have a Peter Pan complex that I know annoys a few of the more responsible people in my life. Sometimes I drift into my own little world. Sometimes I am arrogant and quick to irritation. But when I am at my best. When I'm loving and kind, humble and self assured. When I feel like I can accomplish anything if I just give it my all. When I feel loved...I can't help but think of Elizabeth Charles, my Nana. And now, when I think of courage, I will think of my mother and aunt. In addition to being a writer, and unfortunately for those of you who only know me through my books and blog, I am a firefighter. I spent the past year in paramedic school to upgrade from an EMT and have spent the past few months completing my internship so that I could operate as a Paramedic in my fire department. It took up a great deal of my time and with the other obligations in my life, I let my writing fall through the cracks. I'm am happy to say that I'm done and am now a fire fighter/paramedic and thus far it has been a highly rewarding decision. It has added another dimension to what really is one of the best jobs in the world. So now, the apology. 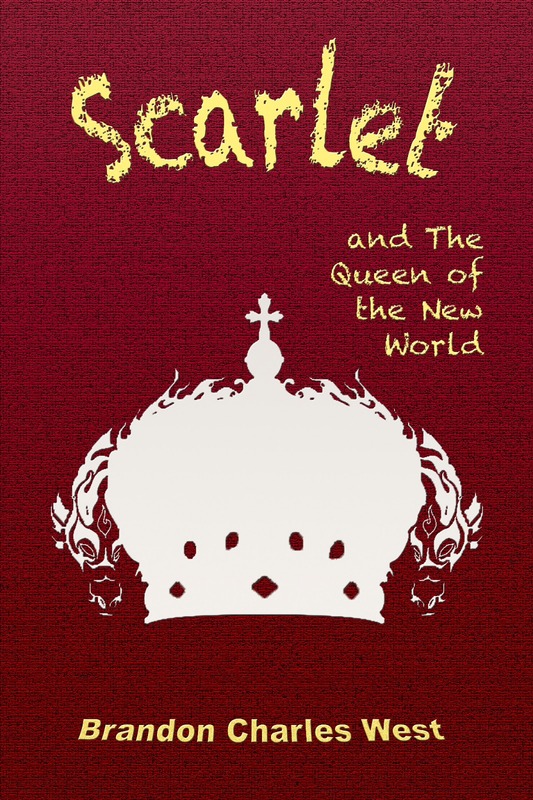 In big type large font with a countdown timer, I announced that Scarlet and the Queen of the New World would be released on Christmas. That didn't happen and I'm sorry. The book is in its final stages of editing and in an effort not to repeat mistakes I made the first time around, I'm not rushing it to print. Unfortunately I can only tell you that it will be soon. I don't want to give a deadline and find out that it can't happen. 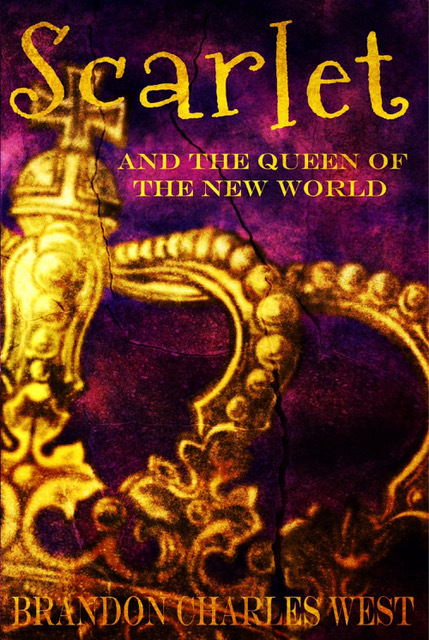 As soon as I know, however, I will put out a new timer a week or two out and wait anxiously to hear what everyone thinks of Scarlet's continued adventure. Look for me back on Twitter and Facebook this week. If you've written me, I'm not ignoring you specifically, more like Twitter and Facebook as a whole. It was nothing personal and I appreciate you all more than you know. Finally, thanks for reading. I hope my absence hasn't completely chased you all away and I look forward to hearing your thoughts and comments.